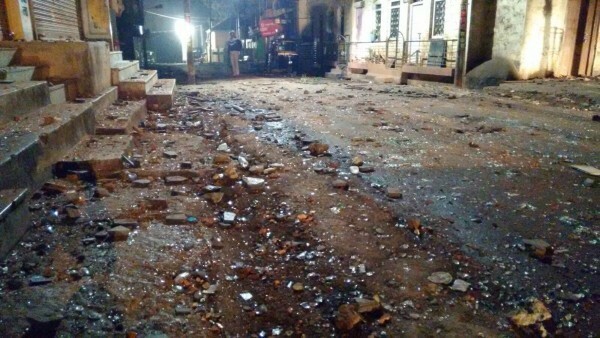 There was a large amount stone pelting in Khadak Galli, Bhadkal Galli and Kacheri road areas at around 11.30 pm on Monday night. 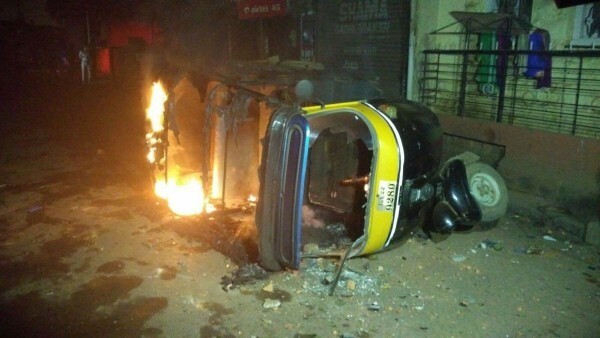 The miscreants burnt a auto on Kacheri road about 6 persons including a police is injured. 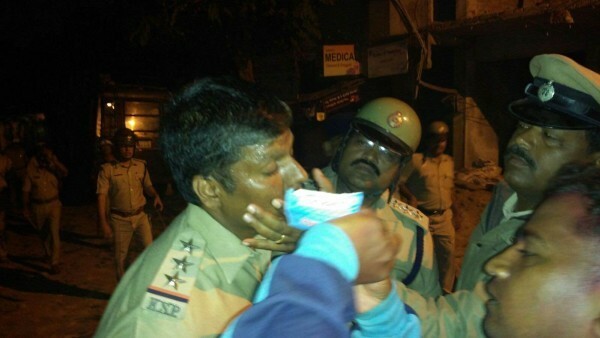 Market Police Inspector Ramesh Gokak sustained an injury on his face in stone hit. 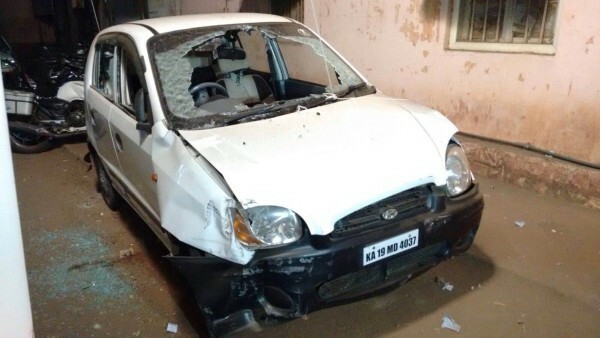 Stones were also pelted at a traffic police vehicle. Sources say this appears to be planned attack by a section of miscreants to create tension after the peaceful end to the Ganesh festivities. The police had to fire tear gas shell to disperse the crowds. It all began at 11.30 when stones were pleted on hotel Chayadarshani and then on houses in Khadak Galli. Cowards attack in groups and keep throughing stones.